This month we welcome accomplished VFX & CG Artist & Supervisor, Brad Stilwell, back home to South Africa. The 25 year veteran of the post, VFX and animation industries has settled back in Cape Town with his family. SA 1; Aus 0. Brad returns to our shores having spent two years honing his skills in Australia, most recently at Kojo VFX in Adelaide, spending 18 months working primarily on the live action Anthony Maras feature Hotel Mumbai. 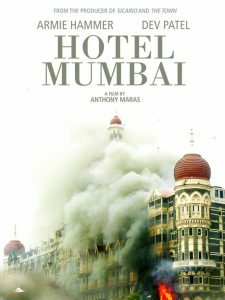 Starring Dev Patel, the film tells the story of the 2008 terror attacks in Mumbai and will be released in 2019. As CG Supervisor, he co-ordinated resident VFX artists as well as remote freelancers, using a variety of systems including Nuke, Maya, Houdini, V-Ray and Deadline, as well as administering Shotgun – the VFX Shot tracking software system. Ever hands-on, Brad also contributed to the look development, art direction, did some compositing and worked for a time as a 3D artist on the film. Prior to his stint at Kojo, Brad was at Animal Logic in Sydney, revisiting his youth playing with Lego – not quite – he was the Senior Lighting Compositor on the Lego Batman & Ninjago movies. 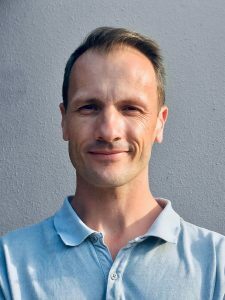 Brad started his career at The Video Lab Group as a CG generalist in the 1990’s, before graduating to Flame/Inferno artist in the early 2000’s, at Video Lab Cape Town and Condor. He’s done several stints at well known Cape Town animation studio, Sunrise, contributing to several shows and commercials, including Jungle Beat, The Magic of Jay, and several other campaigns. His on set VFX Supervision experience includes the BBC’s series Our Girl (Season 2), Starz Entertainment’s Black Sails and numerous other commercials and projects. Now available freelance, Brad is offering freelance VFX & CG concept and production services, including on set VFX Supervision, as well as script breakdown and costing of VFX sequences. As an independent VFX specialist, he is completely flexible – delighted to work as part of a team or facility or alone, or can utilise his extensive experience of working remotely – fine-tuned and seamless workflows to facilitate worldwide collaboration and communication.